17+ "Everyone wants to be happy, but authentic happiness has nothing to do with your station in life, the money you have, or the things you own. Happiness, the kind that conscious beings can call forth at will, is based on nothing outside of yourself. This happiness is founded in certainty, in peace, in inner stillness." Feeling his life was heading into a bottomless downward spiral, nothing could have prepared him for what the Universe had in store for him. In this powerful and answer-filled guide to enlightenment, spiritual teacher Jiulio Consiglio offers his experience of personal suffering which created the perfect condition for him to make the quantum leap into enlightenment. After failing to find answers in the world around him, the author at the age of 33 surrendered and experienced an unimaginable and life changing awakening-the activation of the third eye. In this book he shares the timeless wisdom of the soul and demonstrates the power, wisdom and clarity that lies dormant within all of us. As Jiulio contends, we all have the potential and ability to heal ourselves through inner transformation. Through the frequency of inner stillness he reveals that there is more to us than the thinking mind; a greater part to us, a vastness that has the ability to heal us from the separation from our Source and each other. 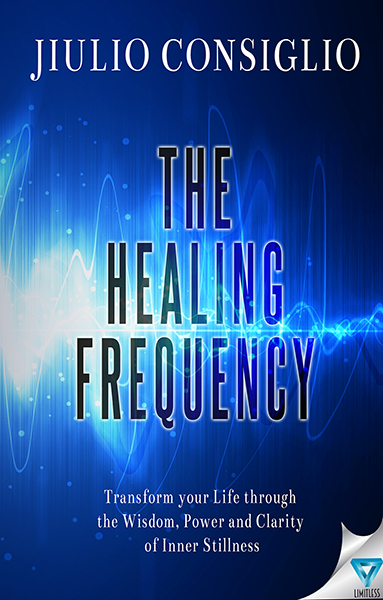 A timely written book as more and more people search for answers; The Healing Frequency offers you a simple invitation-an invite into the knowing of inner stillness. "If you truly value something, you will automatically have a great appreciation for it. What value can you place on knowing and remembering your authentic self? "When you are centered in your consciousness and aligned with stillness, there is no reaction that can withstand the power of unconditional love. No fear can long survive it. No anger can stand up to it. And no darkness can remain present in this space because the One who stands there for you is your highest self, God." Jiulio Consiglio is a former dental health educator turned spiritual writer and teacher. Following several personal adversities, Consiglio, at the age of thirtythree, experienced an unfathomable and life-altering spiritual transformation that resulted in the transcendence of the conditioned mind. His writings and teachings focus on the transformative power of inner stillness and the mind-body connection. His message is unadorned and to the point: there is life beyond fear and incessant thinking, and it is found in the dimension of inner stillness. 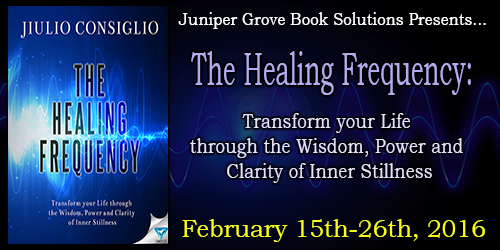 Jiulio currently offers his consciousness-based teachings to individuals and groups. He lives in Southern Ontario, Canada.